Those who are looking to spend their holidays in the Dolomites are longing for an active stay: skiing, snowboarding and snowshoe-hiking during winter months, trekking, mountain-biking and climbing tours during summer months. And as you know, after an exciting day in the mountains, there is nothing more beautiful than take some time for yourself to just relax and enjoy. Our newly built wellness-area has been designed in order to offer you regenerating and relaxing moments. 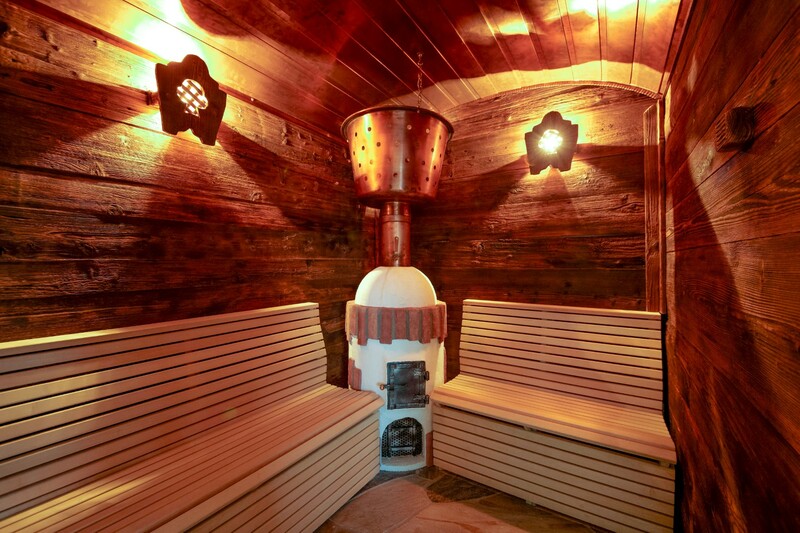 During cold summer months you will have the possibility to enjoy the pleasant warmth of the sauna or the sparkling water-massage of our whirlpool. In Summer instead the Kneipp bath will regenerate both your feet and legs after a challenging hike. And after dinner? Get delighted by the unique sunset only the Dolomites are able to offer.